Here you can change any information about the dental practice Locations you have previously added to the Control Panel. You cannot add a new location here, only on the main “Practice Locations” page. The “Location Name” is for your use only. This name does not appear on any of your websites or IDA website directories. The same is true for “Geographic Region”. You can enter “Southern California” or “San Francisco Bay Area” or “Northern Maine” – whatever is appropriate for your area. In your Internet Dental Alliance Control Panel, all of the geographic locations associated with your dental practice are listed under “Practice Locations.” The control panel works the same whether your practice has only one location or dozens of facilities. The information in the “Locations” section is different from that in the “Customize Portals” section. If you have multiple locations and websites, this is a really important distinction – and it gives you powerful flexibility. The “Reference Name” associated with each location is how that location will display in the sidebar menu of the IDA Control Panel. Clicking the reference name will take you straight to the overview page for that location. You can edit the location information on that page, or click the pencil icon to edit a location’s information. The “Geographic Region” and “County” are important ways of geo-targeting your website with search engines. You can click the trash can icon to delete a location, or click the “New Location” button to add one. You’ll also see how many websites are associated with each location. 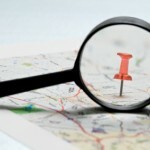 Changes in the “Locations” level automatically update your location information on your find-a-dentist website listings. If you are trying to change the content that appears on a particular website, go to the “Customize Portals” section.